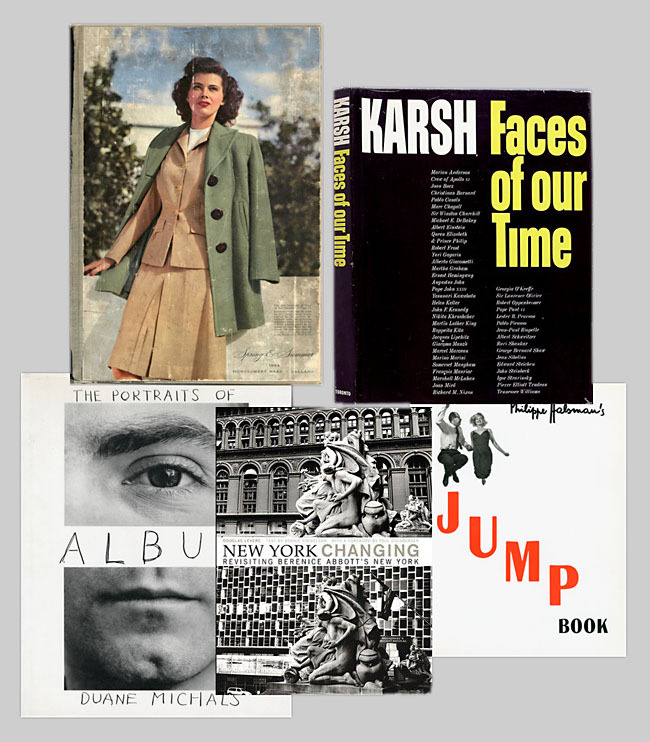 My 5 favorite photo (or visual) books. None are perfect but all have great charms. As my first monograph is coming out in this fall (watch this space for more on that later) I’ve been thinking about photo books a lot lately. Digging through the books on my shelf I’ve compiled my 5 favorites. I’m not actually a big photo book collector, at least not compared to some friends who have so many amazing and odd pieces in their libraries, but I’ve managed to get across what I love about the best photography books with this round-up. This is not a photography book per say, but I love this one for what it is physically and viscerally more than any other I own. 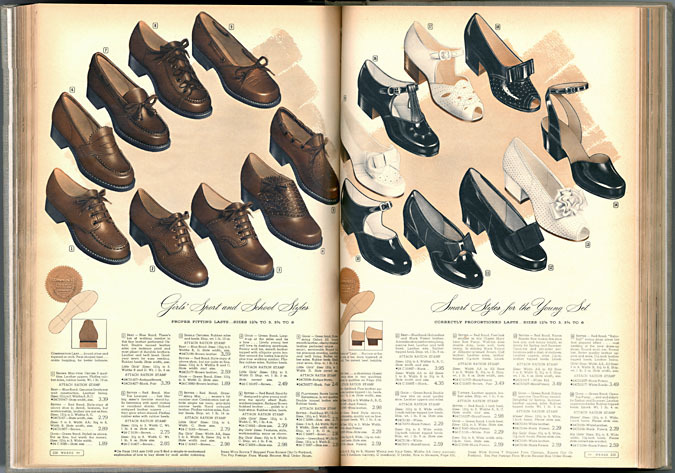 It is the 1944 Montgomery Ward catalog, with a wonderful full cover and hundreds of pages of black-and-white images of clothes and household items displayed for sale inside. The products are beautiful and intriguing for their vintage appeal but on top of that is an insanely spare design for every page. The book is actually overwhelming to flip through, so many products, so much quietly awesome design. After my cats, this is what I’m grabbing if my home is on fire. Montgomery Ward Spring-Summer 1944 catalog. Page 258: Girls' Sport and School Styles; page 259: Smart Styles for the Young Set. Endless with clothing, household goods & farm supplies. The first real photo book that I owned (bought by my mother at a garage sale in suburban Toronto), this formed my idea of what photographs of important people looked like. After entering photo school and learning about the portrait giants Penn, Avadon and Newman I left Karsh behind, considering him, at best, a master of over-lighting, and at worst a hammy literalist (with crazy over-lighting). As I got to shooting more myself I struggled with learning to light with strobes, and shot plenty of bad portraits (even some with cheesy literal ideas). I came back to Faces of our Time humbled, and see the magnificence of many of these portraits, especially the ones showing writers as heroic and larger than life: Ernest Hemingway, T.S. Eliot and Tennessee Williams. 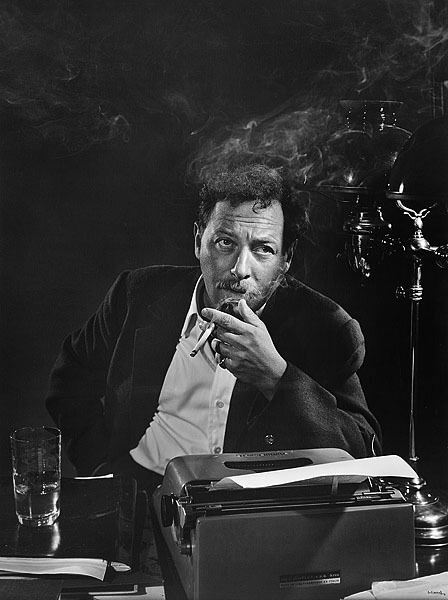 Tennessee Williams by Yousuf Karsh, page 203 of Faces of our Time. I have a keen interest in the celebrity portraits of shooters not known for this sort of work. There are fine portrait collections by Bill Brandt and Wolfgang Tillman but my favorite is Duane Michals. They have the familiar Michals subtle surrealism, but he pulls back his personality from the narrative and lets the sitter fill that space. The result is mysterious and sometimes clever, but always curious. 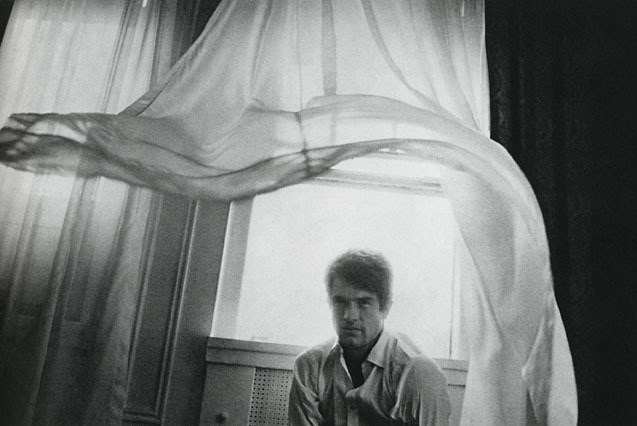 Warren Beatty when "Bonnie and Clyde" opened, from Album: The Portraits of Duane Michals. This is a strange series of pictures by my friend Douglas Levere, where he revisits many of Berenice Abbott’s New York locations from Changing New York, her 1937 monograph. In this book the older and new images are shown side by side, in a way that is exciting for anyone who loves photography, or New York. But what’s truly special is how obsessive Levere became about the project – not only are they the same scenes but in many cases he uses the same kind of camera, lens and time of year, as much as possible allowing only the scene to change over time. Fascinating and magical. 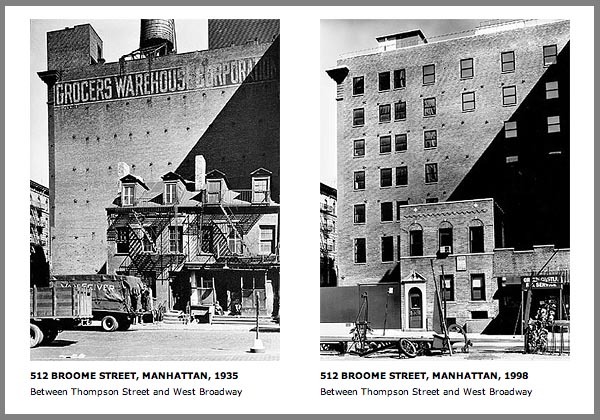 512 Broome Street, Berenice Abbott & Douglas Levere; pages 92, 93 of New York Changing. This one arrives with an asterisk – the paperback edition of this book that I bought in the early nineties is poorly laid out, badly printed and clumsily edited. But it’s also perhaps the cleverest well-thought-out series of celebrity portraits ever devised. Halsman got over two hundred famous folks to “jump” for him throughout the fifties resulting in an impressive, and sometimes bizarre, mix of subjects. Marilyn Monroe, Salvador Dali and Richard Nixon are included. I will quietly await they day when they make a proper and suitably wonderful re-issue. 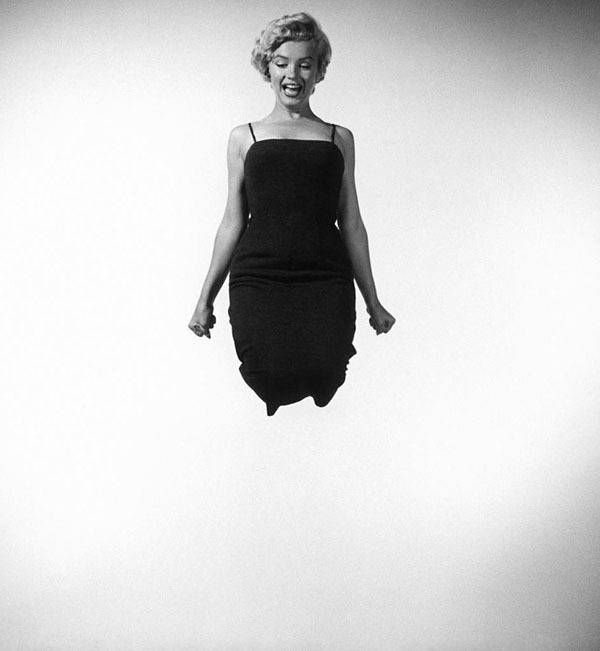 Marilyn Monroe, from Philippe Halsman's Jump Book, page 70. This entry was posted in Inspiration, Photographer Colleagues and tagged Arnold Newman, Berenice Abbott, Bill Brandt, Chris Buck, Douglas Levere, Duane Michals, Faces of our Time, Irving Penn, Jump Book, Marilyn Monroe, Montgomery Ward, New York Changing, Philippe Halsman, Richard Avadon, Tennessee Williams, Wolfgang Tillmans, Yousuf Karsh. Bookmark the permalink. Excellent stuff, Chris. Would love to know if you’d ever be willing to construct a similar list of music photography books? I’d love to read your thoughts on that.